Home \ Tag "Make-a-Wish Foundation"
League of Legends has joined forces with the Make-a-Wish Foundation in order to help out a young boy who is fighting Ewing?s Sarcoma. 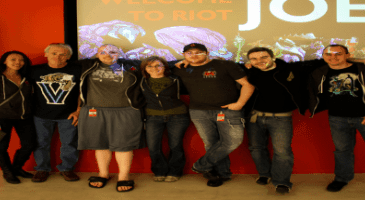 From May 4th until May 18th 10:30am PST, Riot Games will be donating 100% of its RP Sale price for the character Jax and his Jaximus skin, the young boy's favourite character, to Make-a-Wish. The prices will be dropped by 50% for the character and the skin for this time.